Hairport offers style for everyone in an enjoyable, relaxed environment. Our hair, nail and body services and products deliver vibrant, flattering results. Our expert professionals stay current in the latest trends and techniques. Talented, experienced stylists craft unique hair styles that you can manage. An accomplished nail technician creates masterful designs while relaxing your hands and feet. Refreshing and calming spa services are delivered by our skilled skin care specialist. 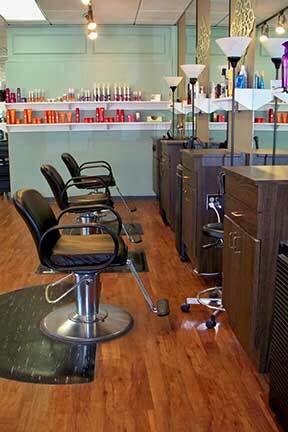 We offer friendly, clean and soothing surroundings and skilled, caring stylists and technicians.